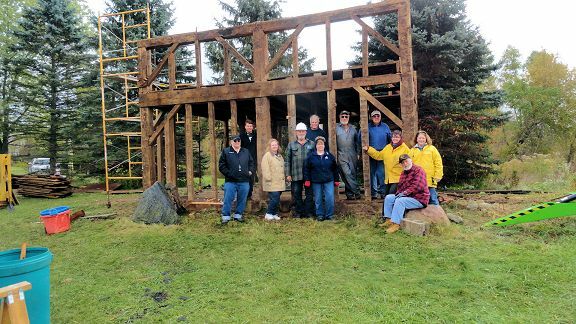 In mid-October 2015, a number of MBPN volunteers gathered in Oakland Township to assist with the disassembly of a granary that a local resident donated to MBPN. The job took place over four days spanning just over one week. MBPN would like to thank all of those parties who inquired about giving the Granary a new home. Our negotiations led to the transfer of the building to a family in Bruce Township, Macomb County, Mich.
We were pleased to assist in this worthwhile project. It certainly promotes the MBPN mission. Get updates on our programs — awards, conferences, workshops and barn tours. Find events. 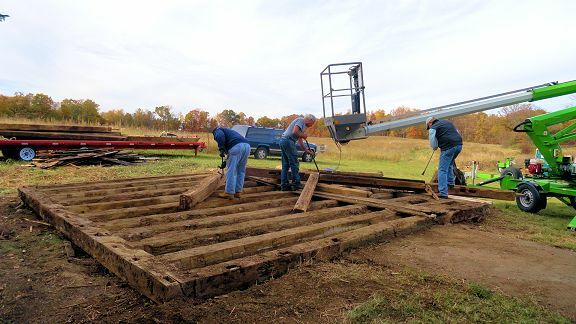 Consult our FAQ about barn rehabilitation – one of the most popular pages on our site. Review our directory of architects, contractors and other barn experts. Check out our archive of newsletters for examples, information and resources. 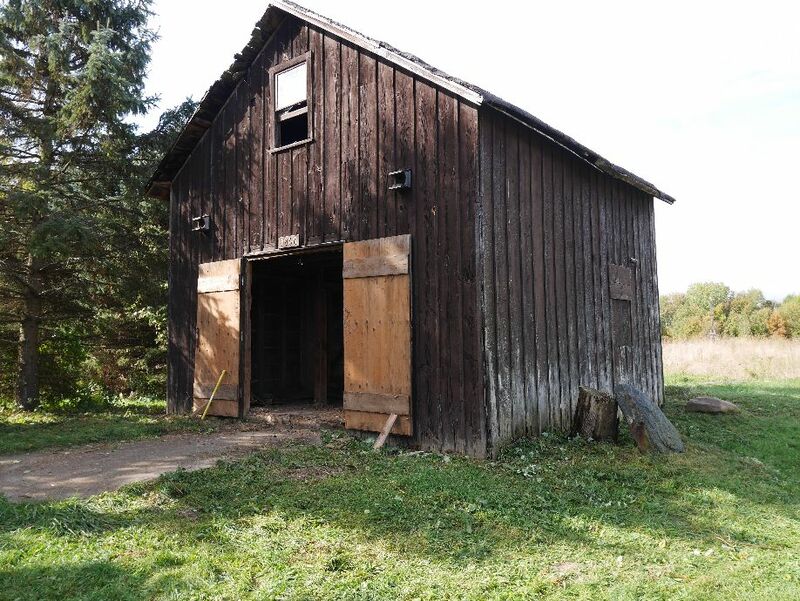 Borrow our exhibit showcasing Michigan barns and examples of adaptive re-use. Request a form – Barn of the Year nomination, Workshop Mini-Grant application, Michigan Barn & Farmstead survey. Get involved! We need you. Barns need you! Become a member. Join a committee. Visit us on Facebook and Instagram for news and photos of interest to barn enthusiasts.